Yesterday we posted on our website about the leakage of West Bengal Primary TET 2015 question paper. It was expected that the TET 2015 exam is going to be cancelled. Earlier it was scheduled to be held on 30th August, 2015. Now officially the exam has been cancelled. Today, WB Higher Education Minister, Mr. Partha Chatterjee said in a press conference that WB Primary TET 2015 has been cancelled and it has been rescheduled. Now the exam is likely to be held on 4th October, 2015. Now after this incident, candidates are in confusion whether the exam will be held on the scheduled date or not. Because on the same day few other Govt. exams are likely to be conducted. This is really very disgusting thing. We will discuss later will the Primary TET exam be held on October 4? Stay Tuned. 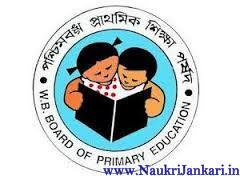 0 comments for " WB Primary TET 2015 Exam Cancelled: Scheduled on 4th Oct "